Outdoor recreation is our business. Summer or winter, we invite you to explore the natural beauty of our area. At Lang Lake Resort, you’ll find we haven’t overlooked the many ways to make your holiday as convenient as possible. For those guests who don’t want to cook, you can choose our American plan option. Our lakeside cabins feature all furnishings and beds with linens, blankets, and pillows supplied. Bathrooms are fully modern with hot and cold running water year-round. In the summer months make your own meals in the kitchen with an electric refrigerator, stove, dinnerware and cooking utensils provided, or grill out on the propane barbeque. In the evening, roast marshmallows over a campfire with deck and chairs and family-size picnic tables surrounding the pit. Some of our cabins have indoor fire places and all have a personal dock. Our chain of 7 interconnecting lakes stretches for 18 miles, and boasts over 100 miles of shoreline, with numerous shoals and weed beds. Fish our main lake system for trout, walleye, northern pike, smallmouth bass, and largemouth bass. 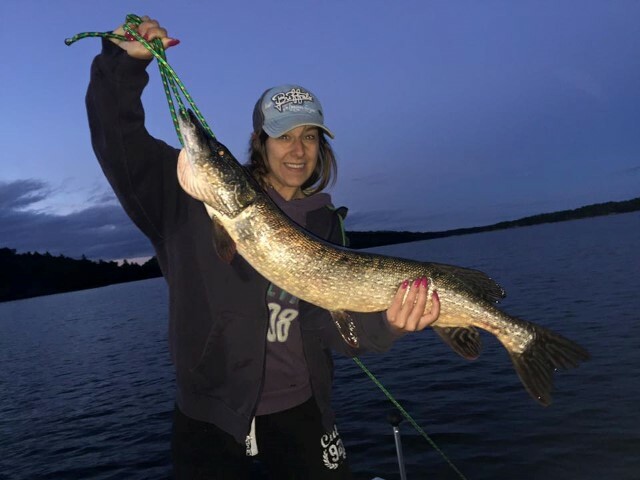 For the more adventurous fisherman, our resort offers quiet back lake retreats, where northern pike and largemouth bass never seem to stop biting. 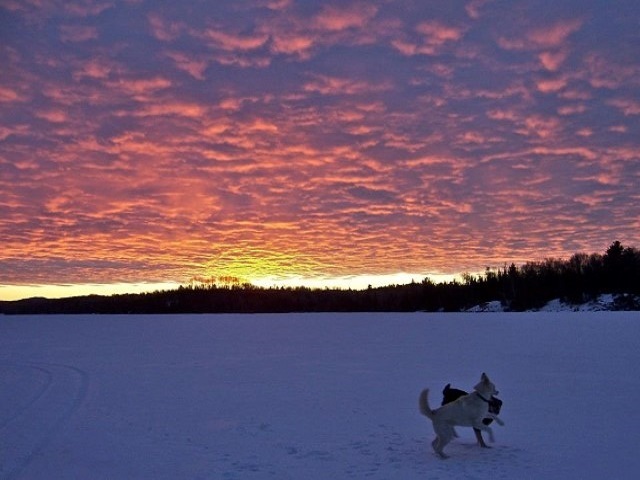 Our back lakes are set up with boats ready to go and are only a short portage away from the main lake system. Consider hiking, horseback riding or mountain biking the miles of trails surrounding the resort. Explore a quiet bay in our paddle boats or canoes. Take the family on a picnic in the woods and pick some wild raspberries or blueberries for a snack. You can also enjoy swimming and snorkeling in the sparkling-clean water of Lang Lake or relax in the hot tub under the stars. In the winter months, our resort has everything a snowmobiler can ask for, from a fireplace in your cabin to kilometers of groomed trails. 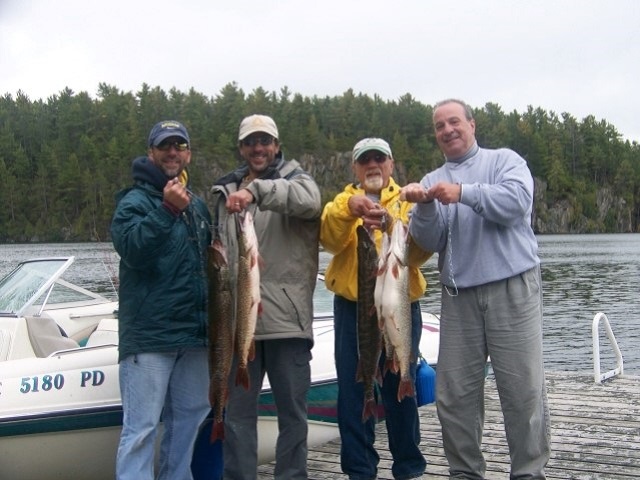 You can also try your luck at ice fishing or cruise through the boreal forest looking for wildlife, there is something for everyone. Don’t forget to bring your camera to capture this area’s natural beauty.